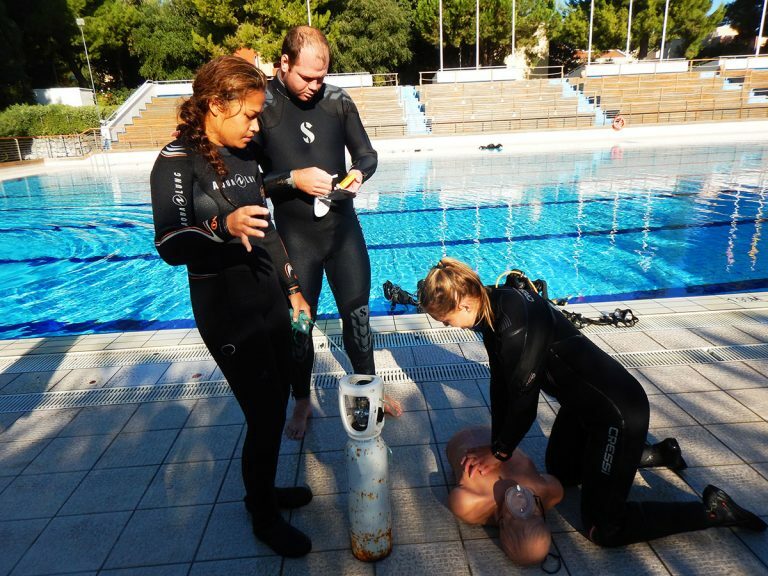 Want to gain confidence on how to help other divers in need? During the Open Water Diver Course and the Advanced Open Water Diver Course, you were focused on yourself. On how to become a better diver and gain more knowledge about your own dive skills. Now, it is time to focus on other divers and learn how to help them if they are in need; to become a more responsible diver. 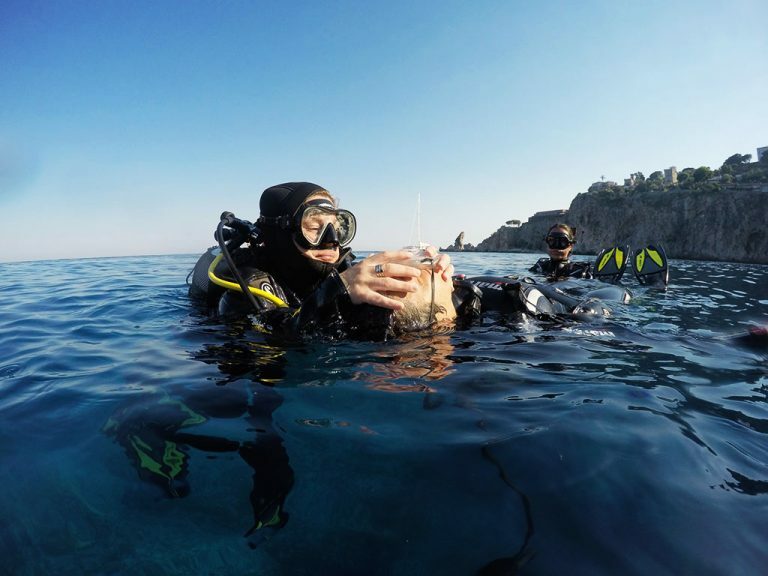 It’s possible to continue your diving education with Sea Spirit Diving Resort in Taormina, Sicily, Italy. It starts with the Emergency First Responder. First aid and CPR skills are useful to anyone involved in adventure sports – just in case. And you will need to know these skills to be able to participate in the PADI Rescue Diver. 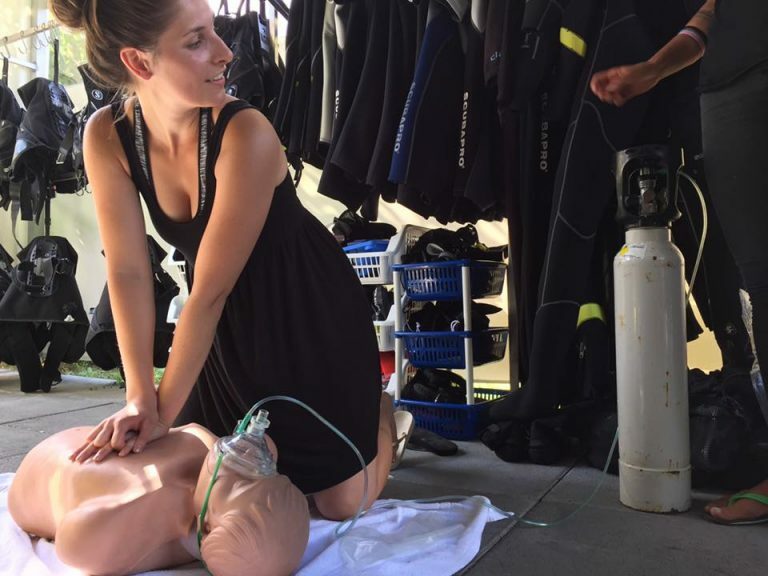 The Emergency First Response Trainer is a PADI affiliate specialized in teaching these lifesaving skills – which are useful to anyone. The Emergency First Responder is a half day course with all the basic first aid training, how to deal with a non-breathing person, chest compression (CPR), how to treat shock as well as secondary care for injuries or illness. – The use of barriers to reduce the risk of disease transmission, not just for divers. Many instructors are PADI Emergency First Response Instructor! You need to have interest in others and want to be able to help in an emergency situation.